Self-driving car rental company Zoomcar has launched 25 electric vehicles at Miyapur metro station here for daily metro commuters. 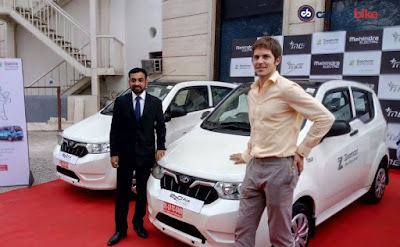 The company introduced 25 Mahindra e2oPlus cars. "This will help facilitate the travel of metro commuters looking to complete their last mile journey affordably with the convenience of self-drive", Hyderabad Metro Rail Limited (HMRL) Managing Director N V S Reddy said. The EV rental charges currently start at Rs 8.50 per km and it is a cost-effective and eco-friendly option for commuters. In the near future, Zoomcar plans to expand the service to enable one-way movement to Madhapur and Gachibowli for IT employees, who can use these services to commute between their office and metro stations. 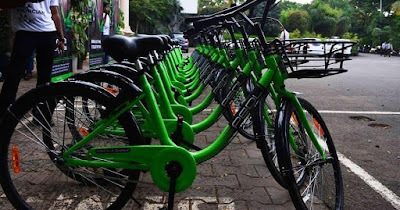 Along with this, Zoomcar's cycle sharing service PEDL, has deployed around 500 cycles across Hyderabad (in Gachibowli, Madhapur, Ameerpet, Begumpet etc) for people to cover last mile connectivity. The present charges are Rs 3 for 30 minutes. "Hyderabad has shown a good response in terms of demand for both cycles and EVs and has also helped commuters save money and help the environment by adopting these eco-friendly and cost-effective modes of transport," Reddy added.